Welcome to 129 Heartland Way in scenic Cochrane. 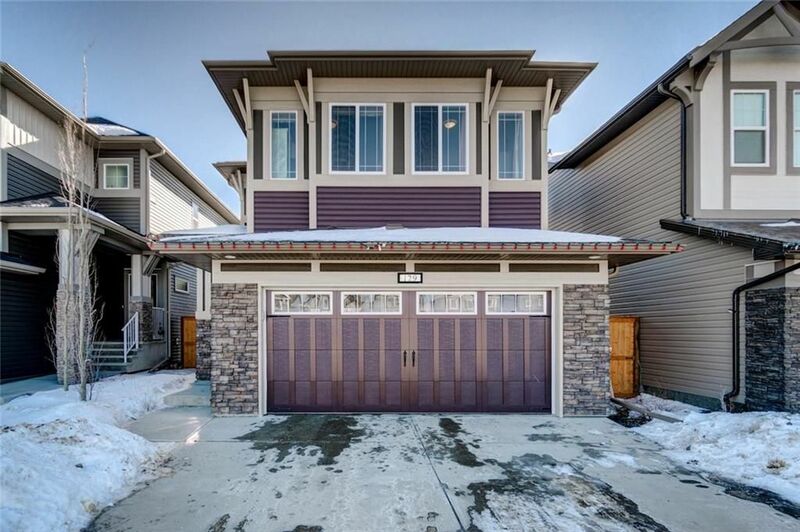 This beautifully upgraded former show home offers tons of space, and a great family-friendly layout. Some of the features/upgrades include: open stair risers, 9' knockdown ceilings on both the main AND upper floors, rich hardwood & tile floors, inviting fireplace w/ flr to ceiling tile, gorgeous kitchen w/ quartz counters, pot lights, glass tile backsplash, xtra height cabinets, SS appliances, GAS STOVE & B/I microwave, 'pocket office' off the great room, mud rm w/ built-ins & bench, a 'walk-in' front closet, upper floor laundry, & CENTRAL AIR CONDITIONING. The upper floor features 3 good sized bedrooms, all with walk-in closets, a lrg bonus rm, laundry rm with folding counter and 2 full baths, including the GRAND ENSUITE, complete with dbl sinks, quartz counters, a welcoming soaker tub & separate shower w/ tile to ceiling. This home is also certified 'BUILT GREEN' and is solar ready. The dbl att. garage is drywalled and has a gas r/i. The perfect package!